My supermodel baby is turning one next month! "MAAAAAA" as my almost 2 year old calls her is a frequent on this blog but we photographed her actual 1 year pics last week. As always they are super cute. 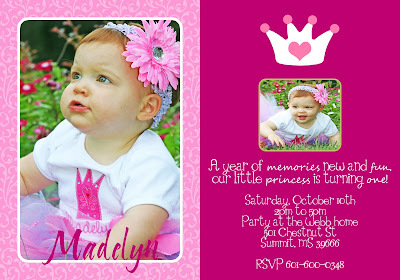 Mom also got me to assist in designing her birthday invitation which I LOVE to do. Enjoy!